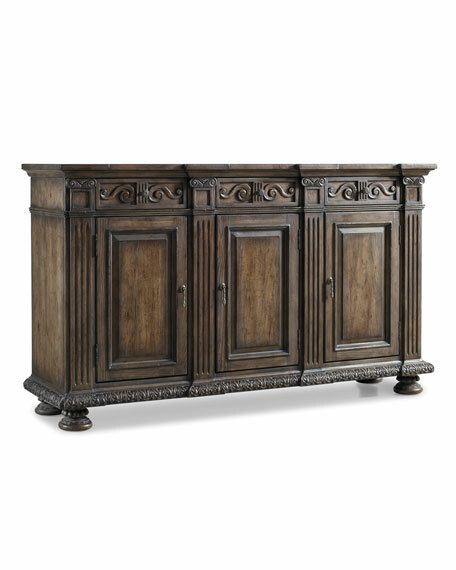 Antique-style buffet made of hardwood solids, laminated lumber, hardwood veneers, and resin. Three drawers, three doors, and three adjustable shelves. 72"W x 20"D x 42.5"T.
Boxed weight, approximately 330 lbs.